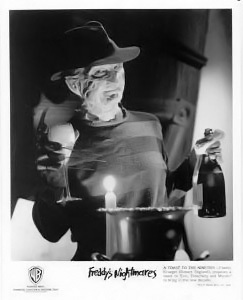 It’s hard to keep a bad man down. 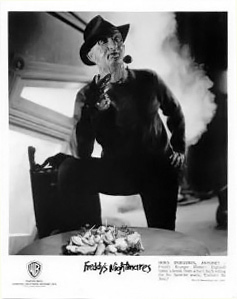 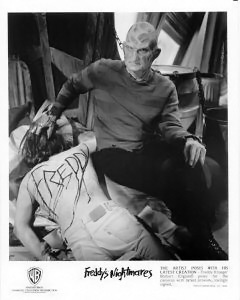 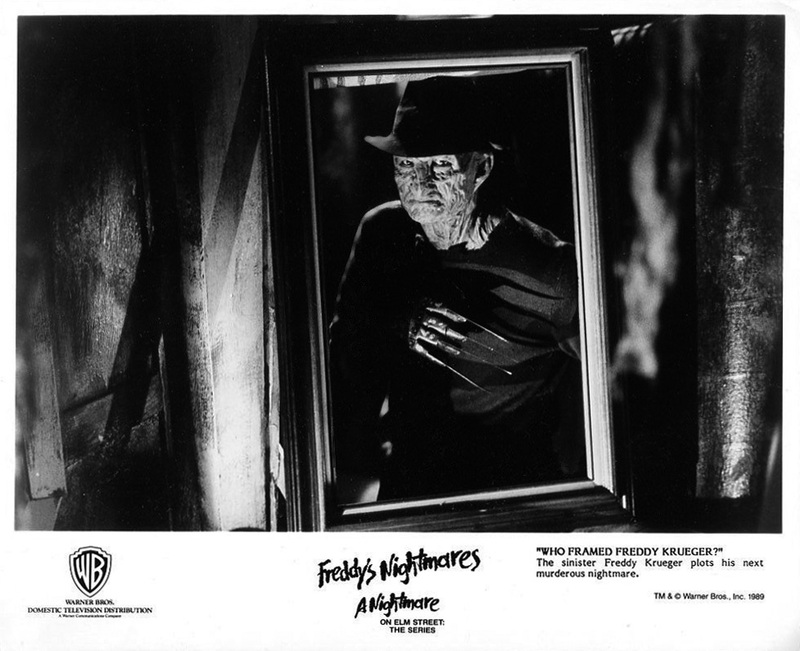 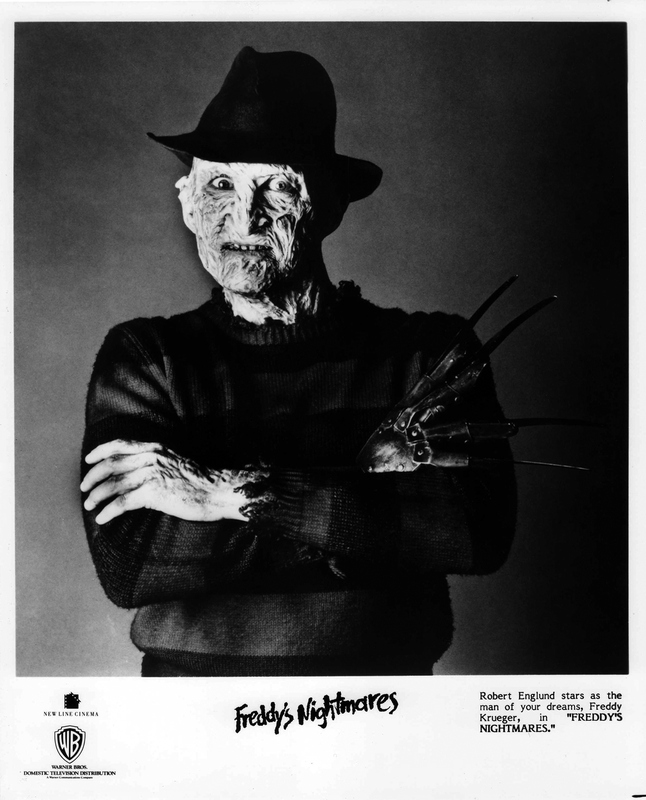 And so it goes with Freddy Krueger, one of the most terrifying characters in film history. 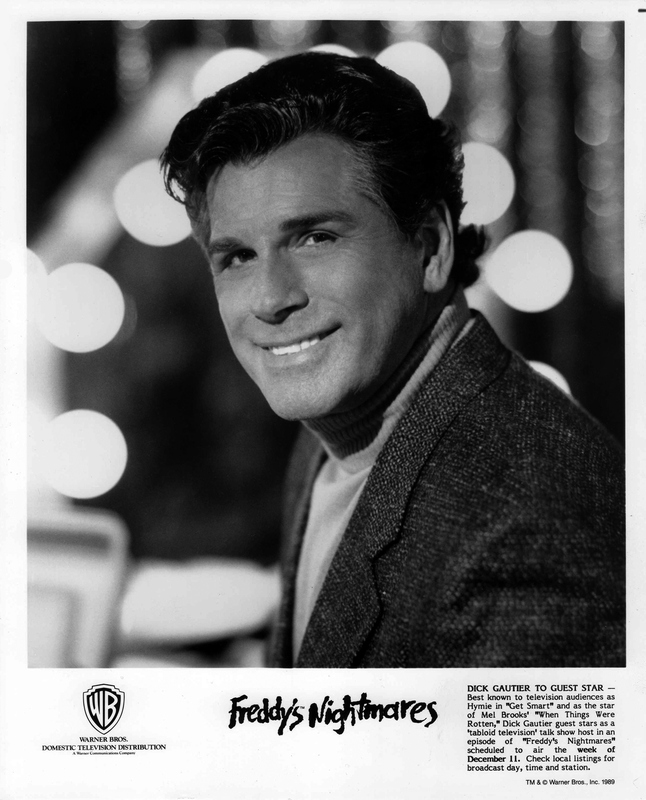 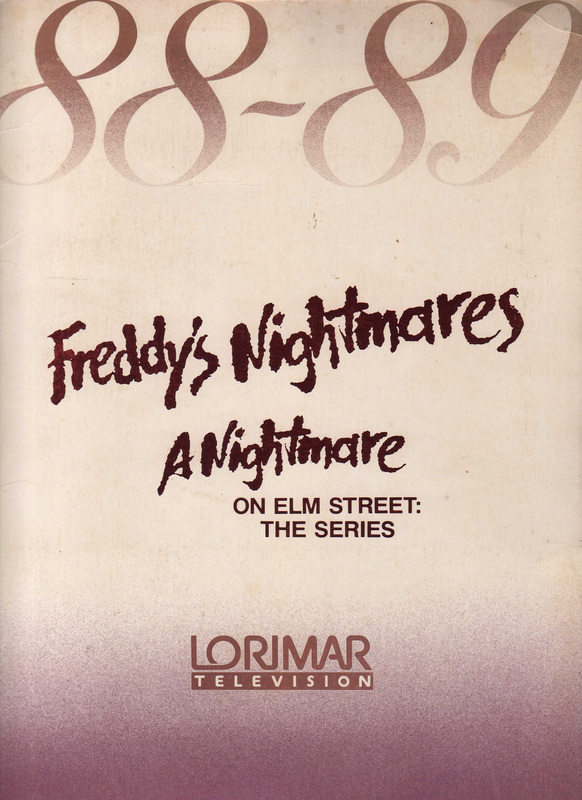 Now, Freddy brings his macabre mixture of humor and horror to television with the new syndicated weekly one-hour episodic series Freddy’s Nightmares, based on the blockbuster feature film series A Nightmare on Elm Street. 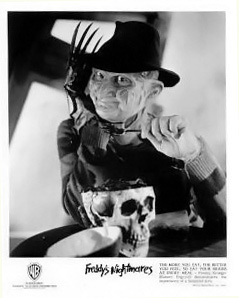 Robert Englund, reprising his popular role of the monstrous, wisecracking Freddy Krueger, serves as host and frequent cast member. 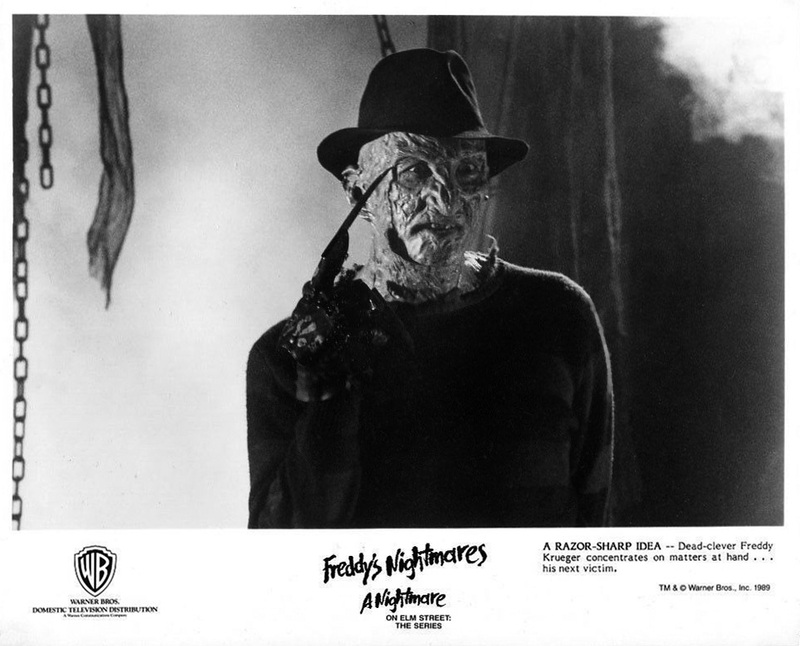 A Nightmare on Elm Street, the television series, explores the eerie nether world of Freddy Krueger and his revenge on the citizens of Springwood, where dreams become reality and reality turns into horrifying nightmares. 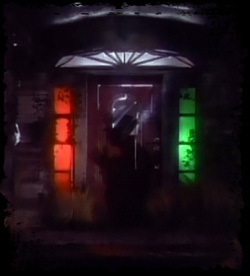 Unlike your normal breed of Middle Americans, the denizens of Springwood are haunted by their thoughts, hopes, wishes, and daydreams. 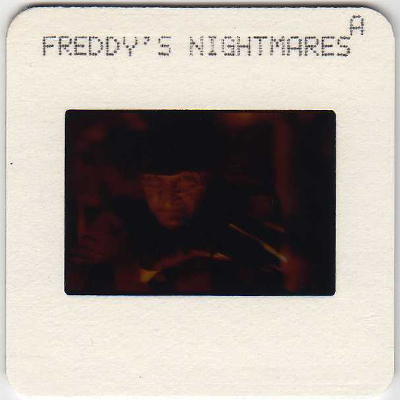 In his trademark tattered sweater, felt fedora hat and razor-fingered glove, Freddy and his minions ride herd over Springwood’s subconscious, decimating its citizens with a psychologically terrifying edge. 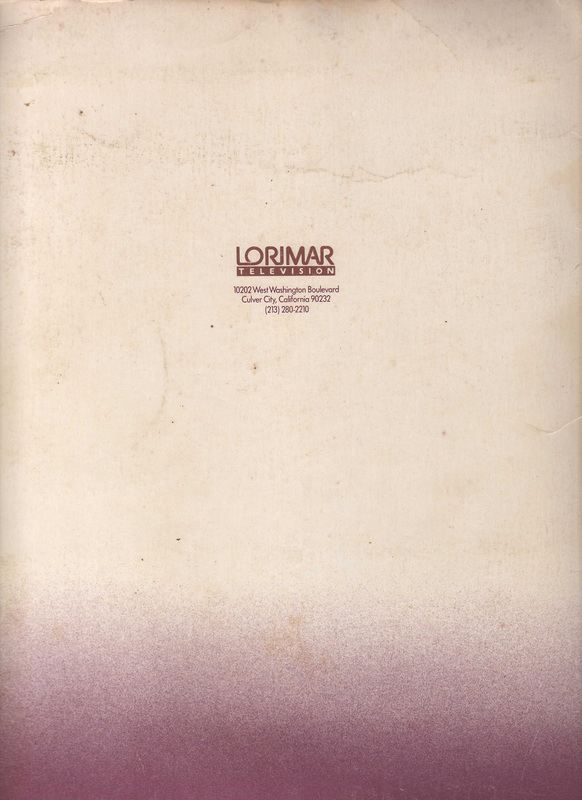 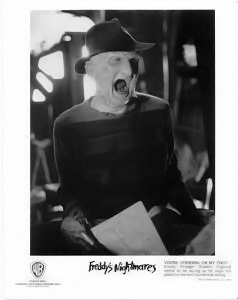 The following press kit notes were originally printed on an ivory paper stock which hasn’t aged well. 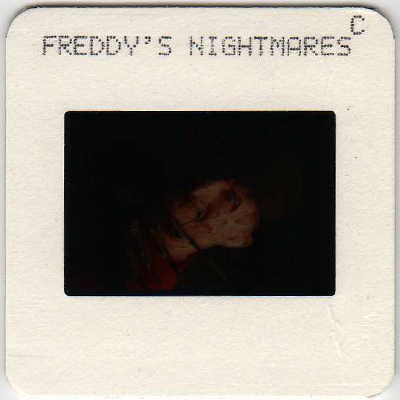 In an effort to preserve them digitally for authenticity and availability, each set was scanned as-is and posted below for viewing. 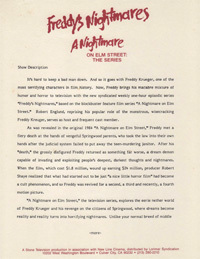 Press kit notes are in PDF format. 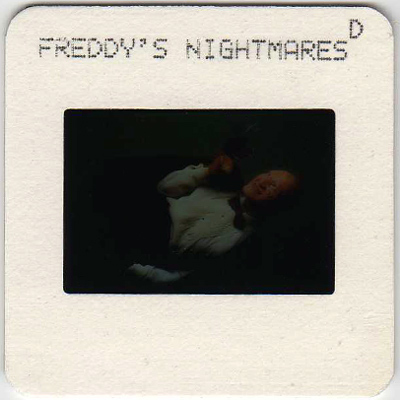 Slide A: Robert Englund stars as the sinister, razor-fingered Freddy Krueger in Freddy’s Nightmares. 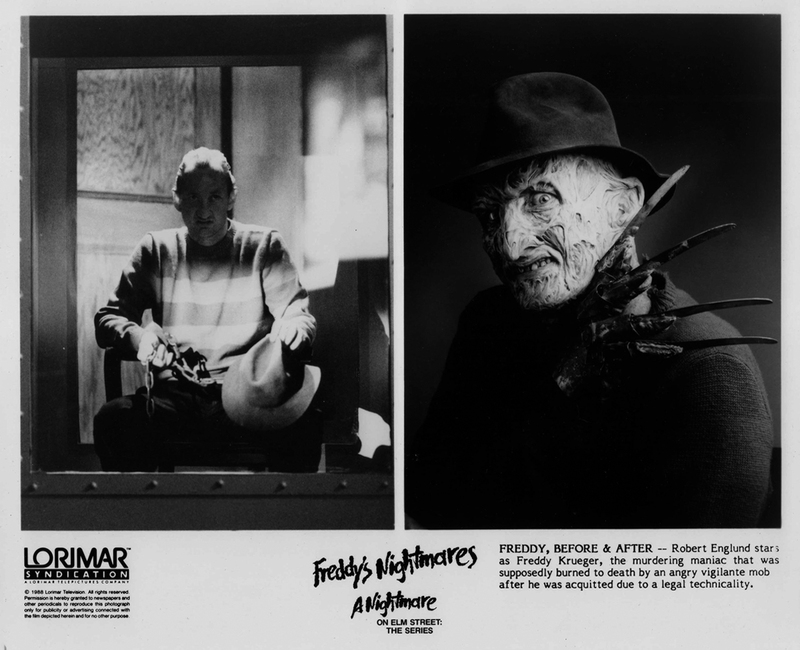 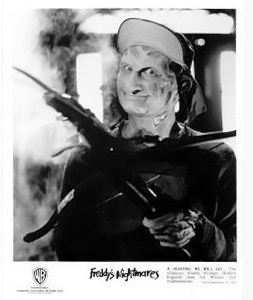 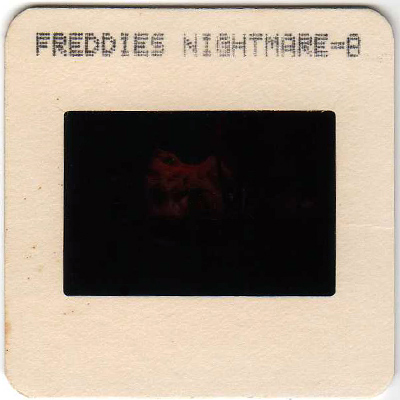 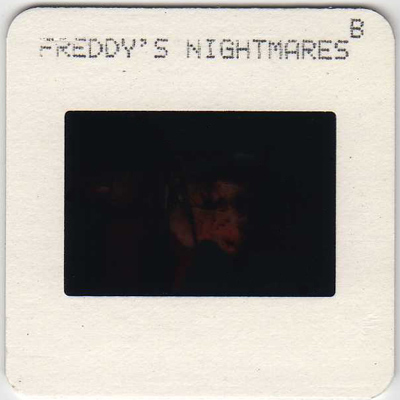 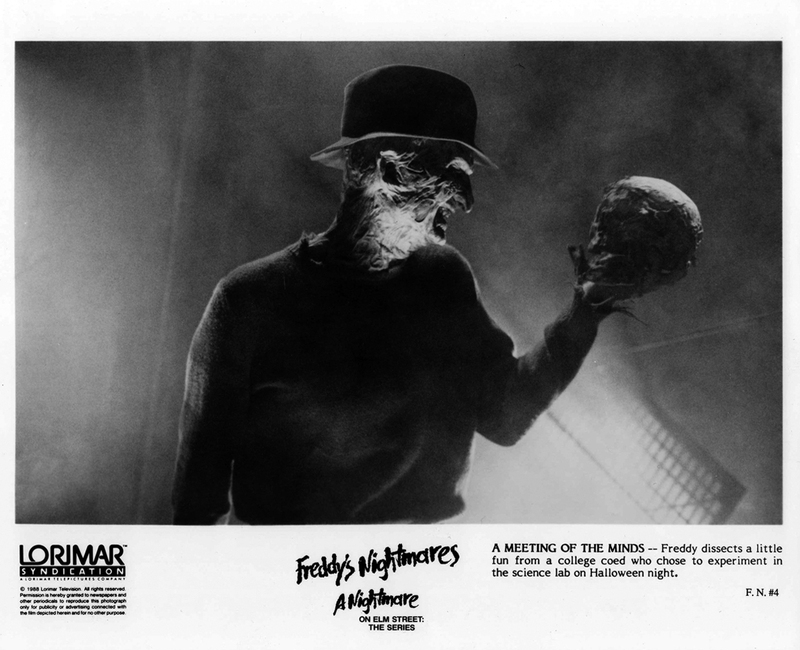 Slide B: Robert Englund reprises his role as the grossly disfigured Freddy Krueger from the blockbuster A Nightmare on Elm Street films in the one-hour suspense television series Freddy’s Nightmares. 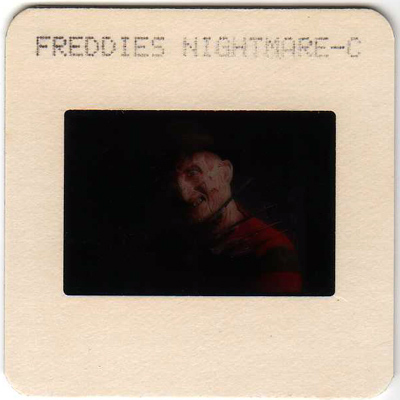 Slide C: Robert Englund serves as host and frequent cast member Freddy Krueger in Freddy’s Nightmares. 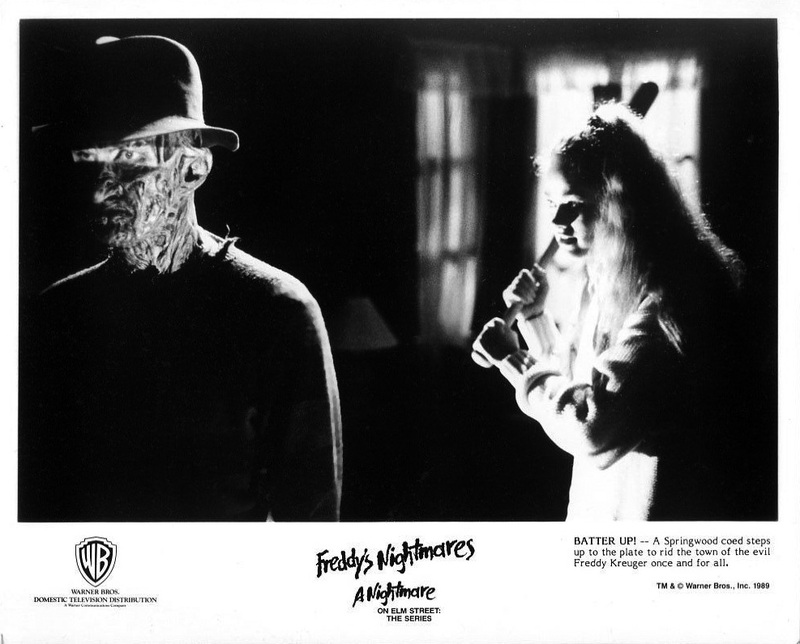 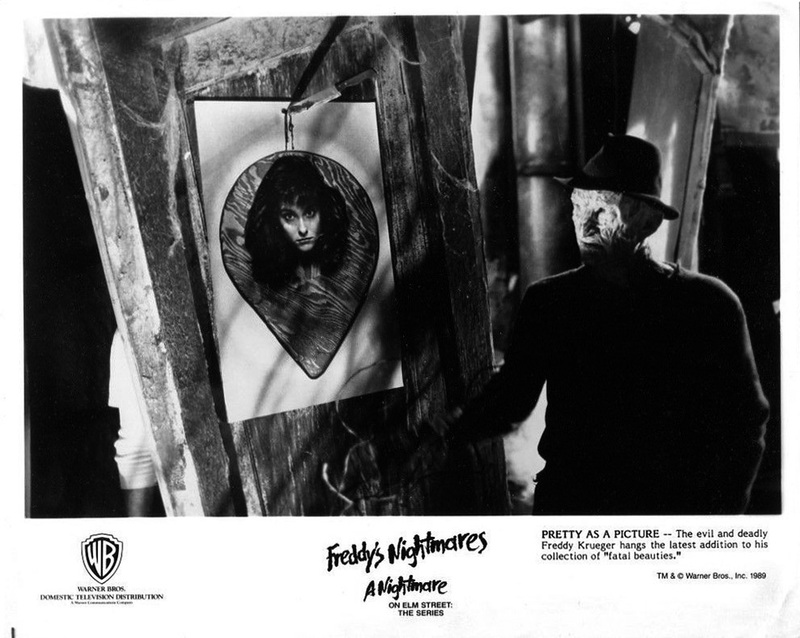 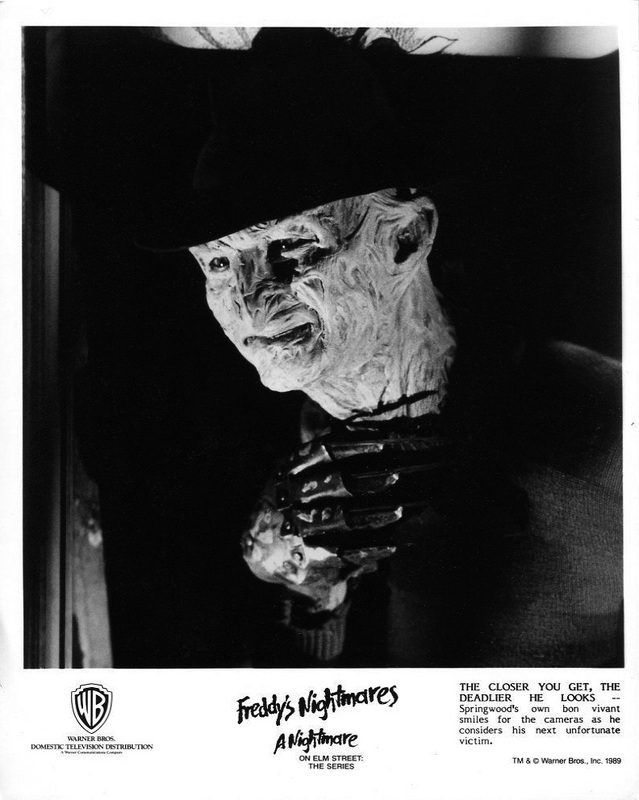 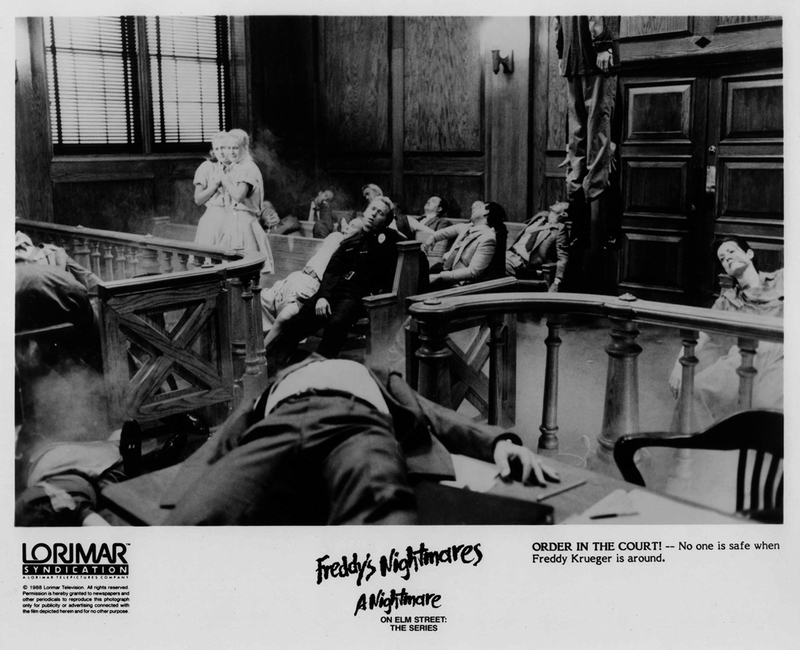 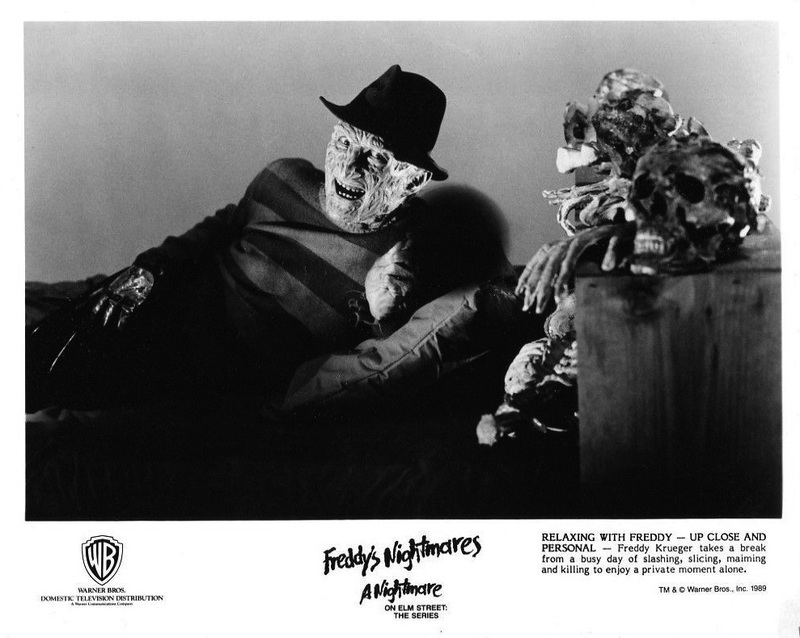 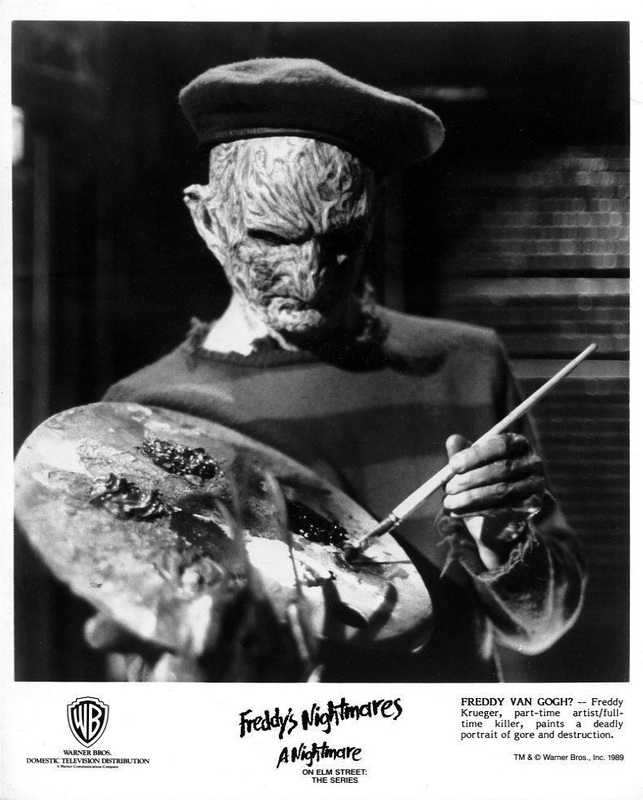 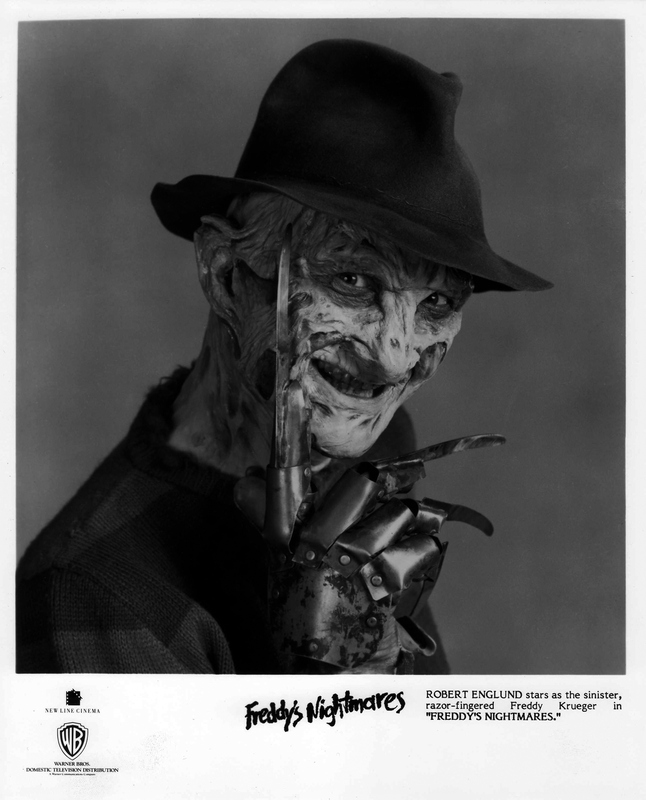 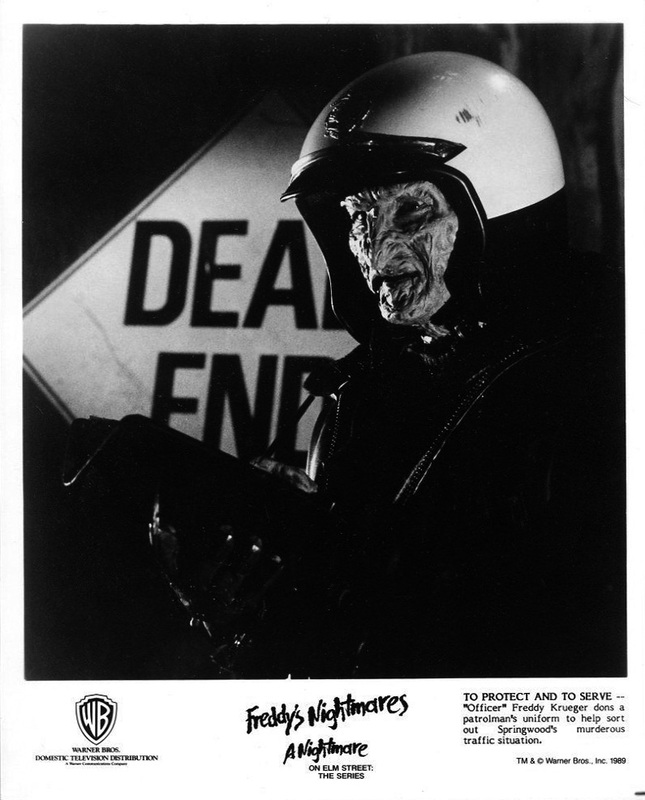 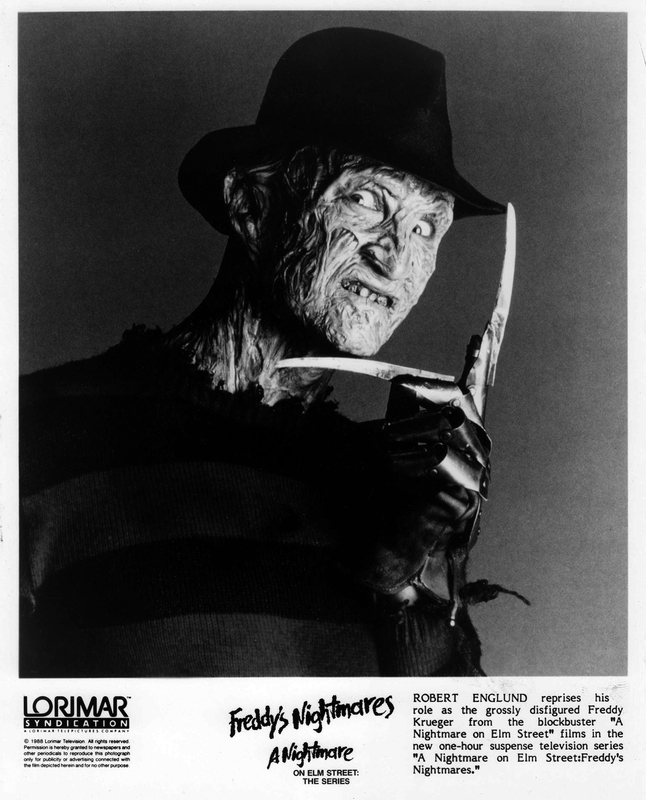 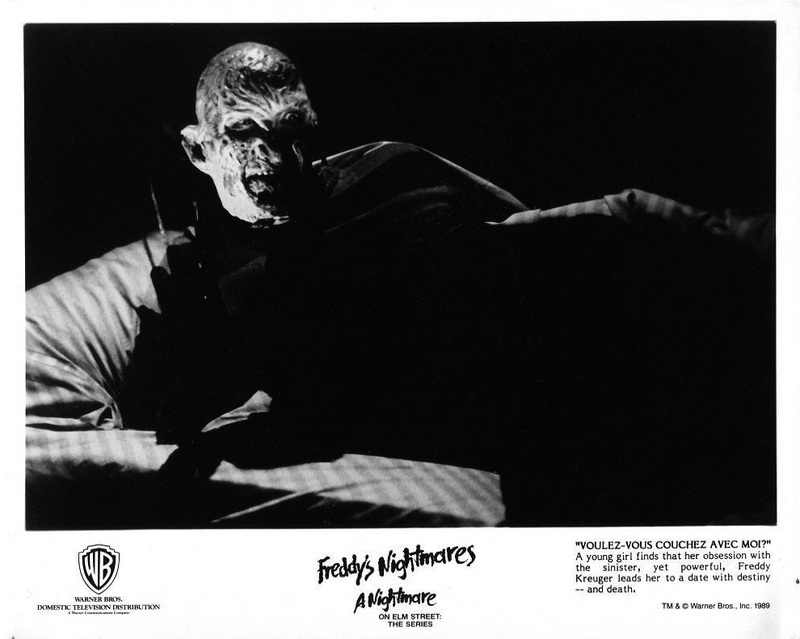 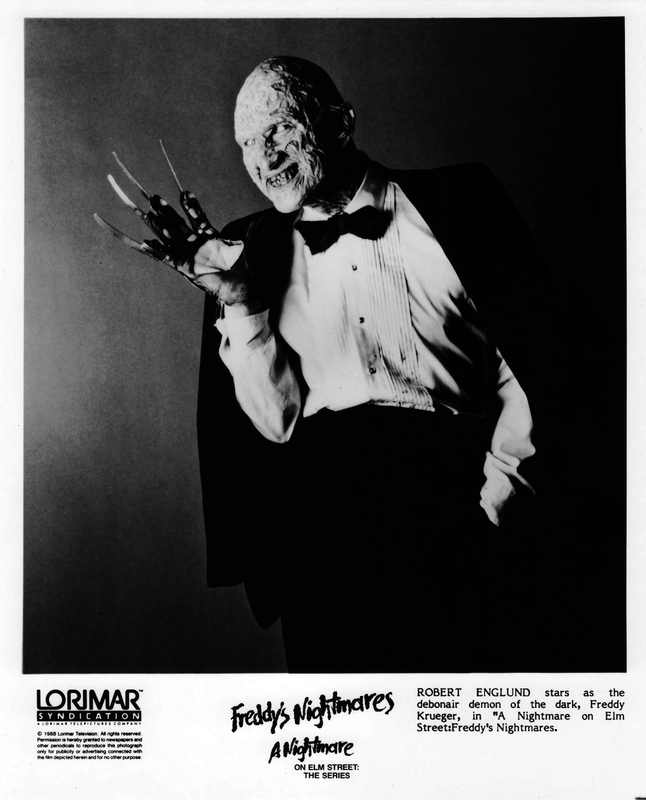 Slide D: Robert Englund stars as the debonair demon of the dark, Freddy Krueger, in Freddy’s Nightmares. 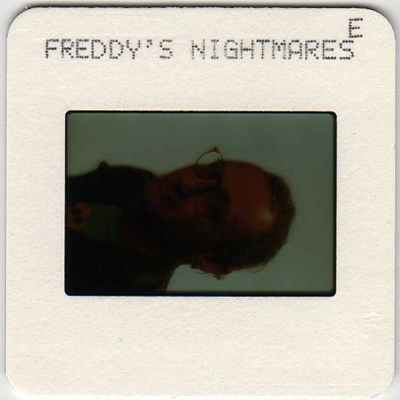 Slide E: Robert Englund, himself. 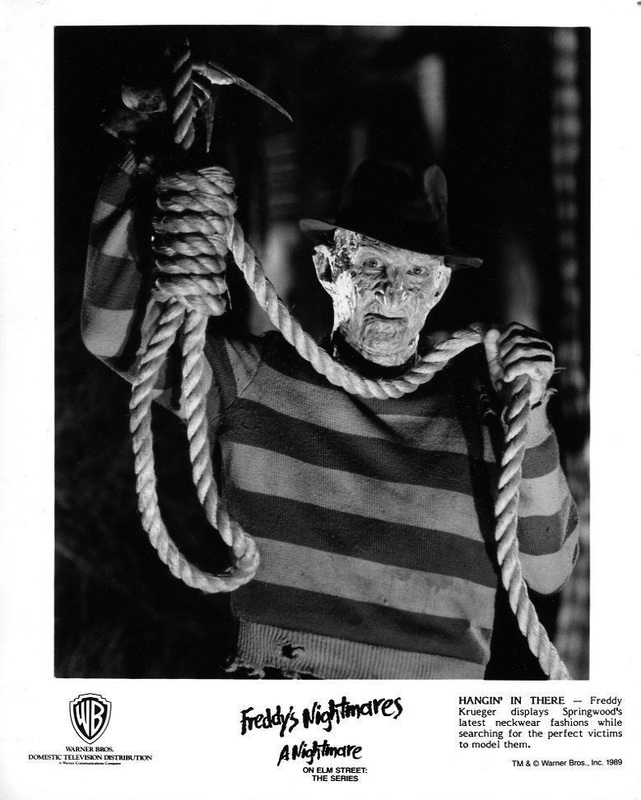 Press kit materials courtesy of Rob Nimmo.